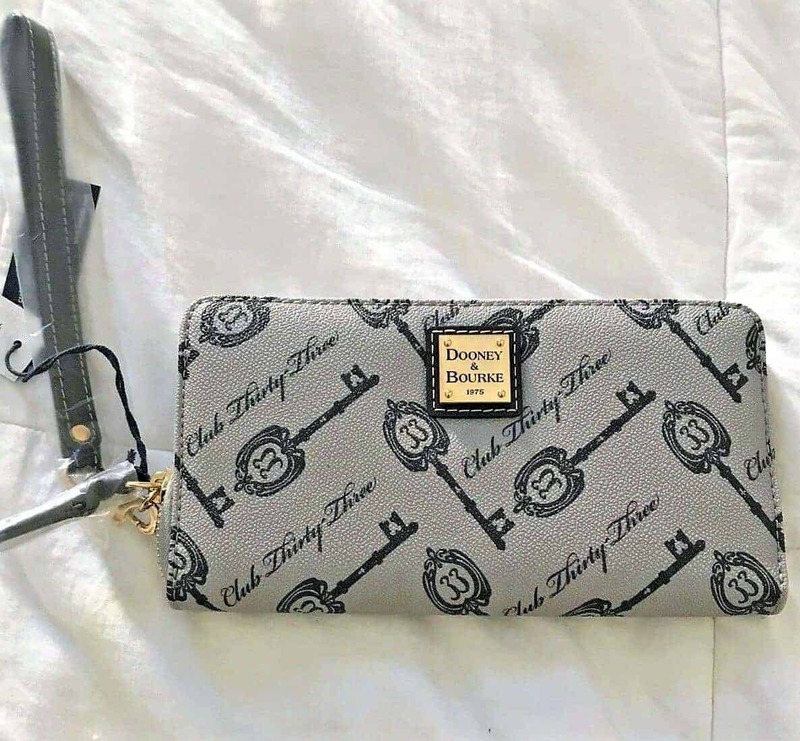 The Club 33 Keys Collection by Disney Dooney and Bourke was released in November 2018 at Disneyland’s Club 33. 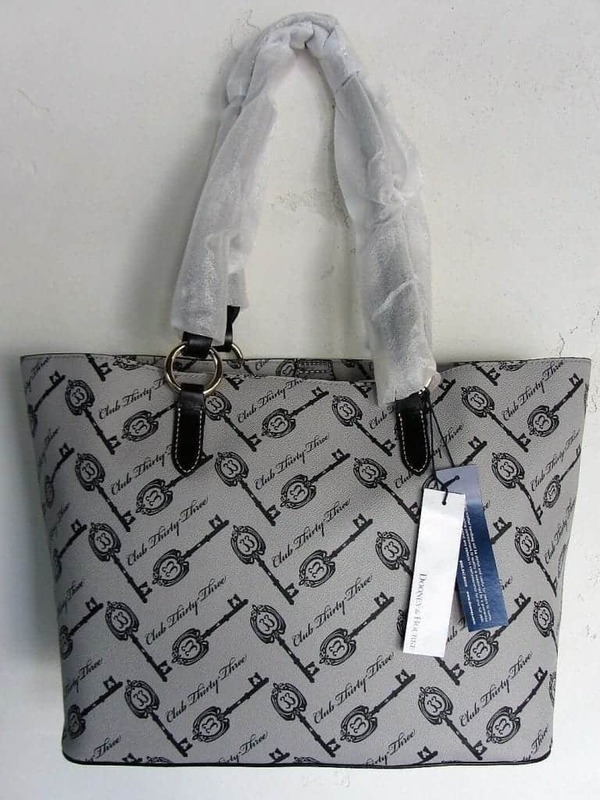 It joins a long line of other great Disney Dooney & Bourke Club 33 handbag collections. This print features keys with the Club 33 crest logo repeated on a gray background. 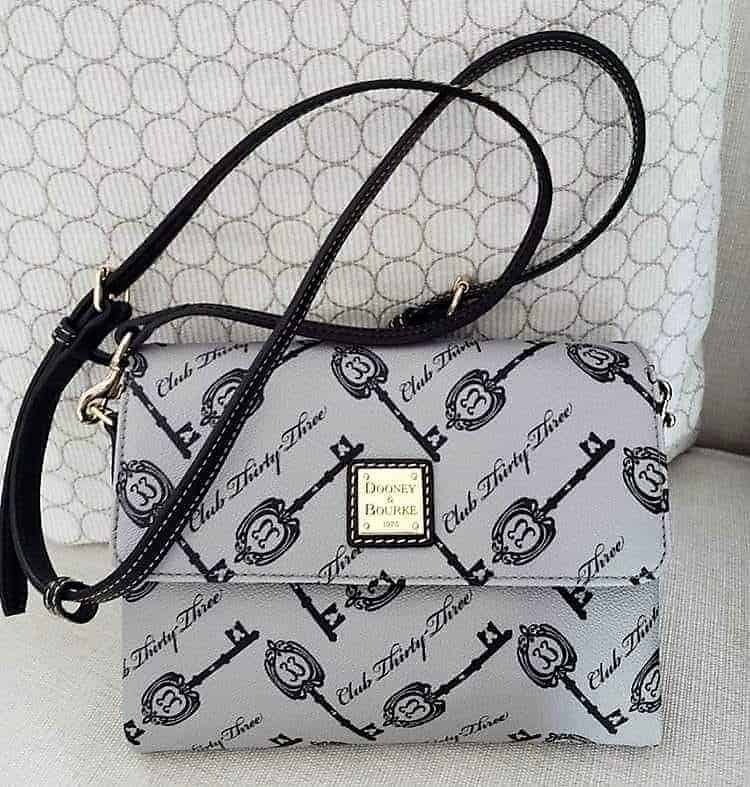 It comes in 3 silhouettes: tote, crossbody, and wallet. 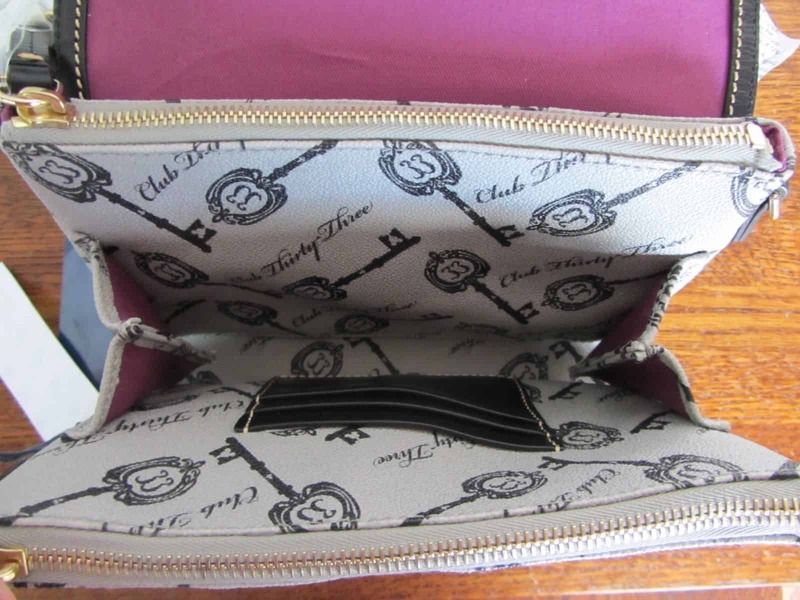 The Club 33 keys continue along the underside has leather strips supporting 4 metal feet. 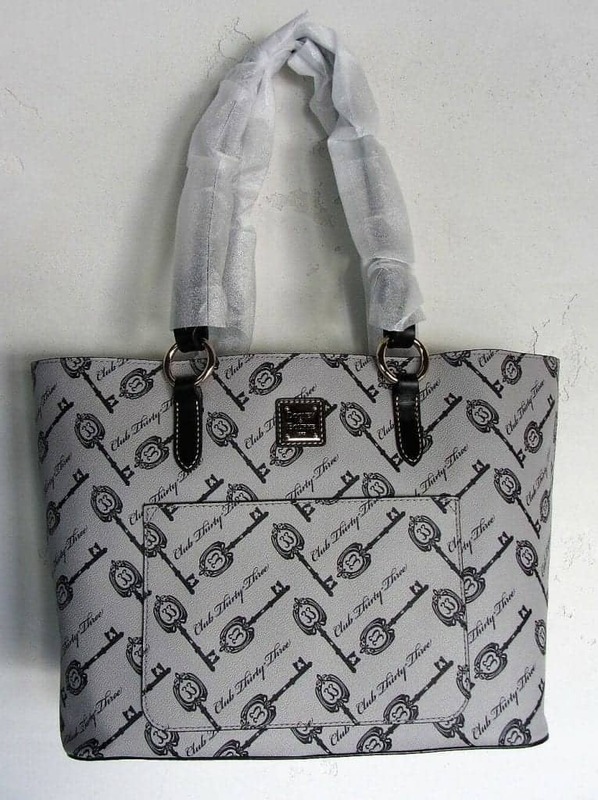 The back features an open pocket for easy access to things like your phone. 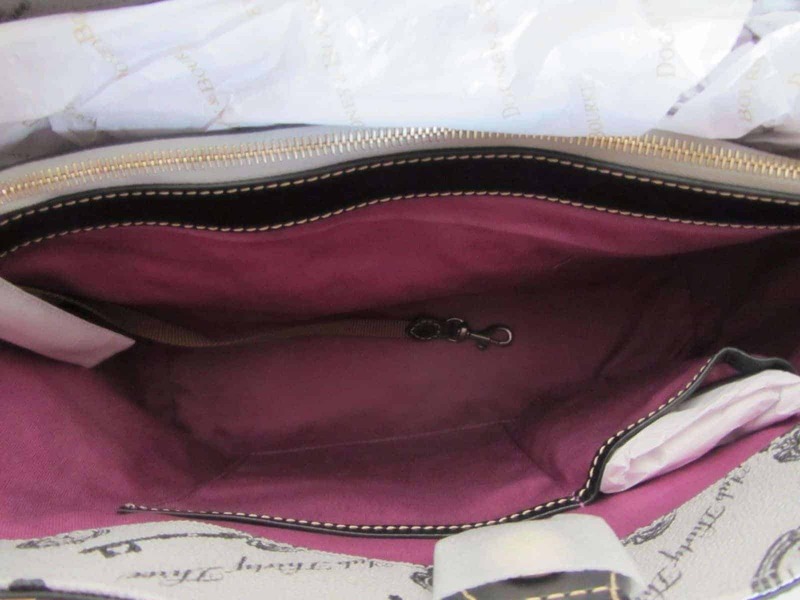 Underneath the magnetic flap, you’ll find the gorgeous purple-pink lining. 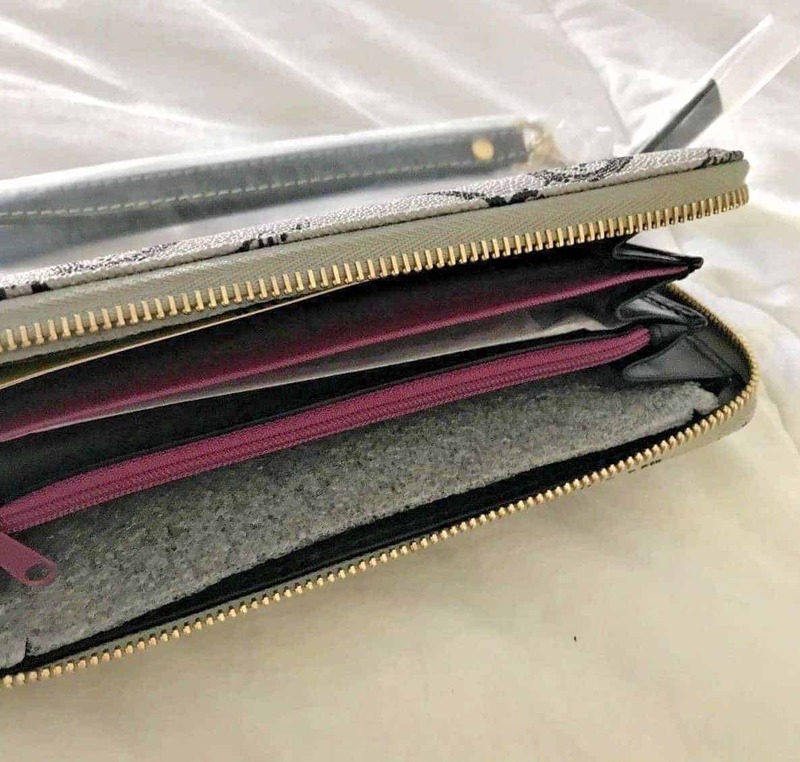 The inside has 3 sections to organize your stuff, including a built-in card holder and 2 zippered pouches. 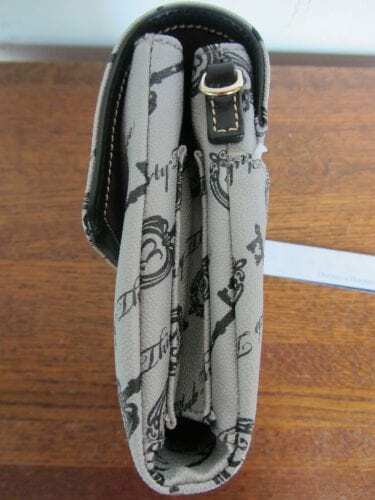 The wallet has a zipper all the way around and multiple sections to organize your cards and cash. 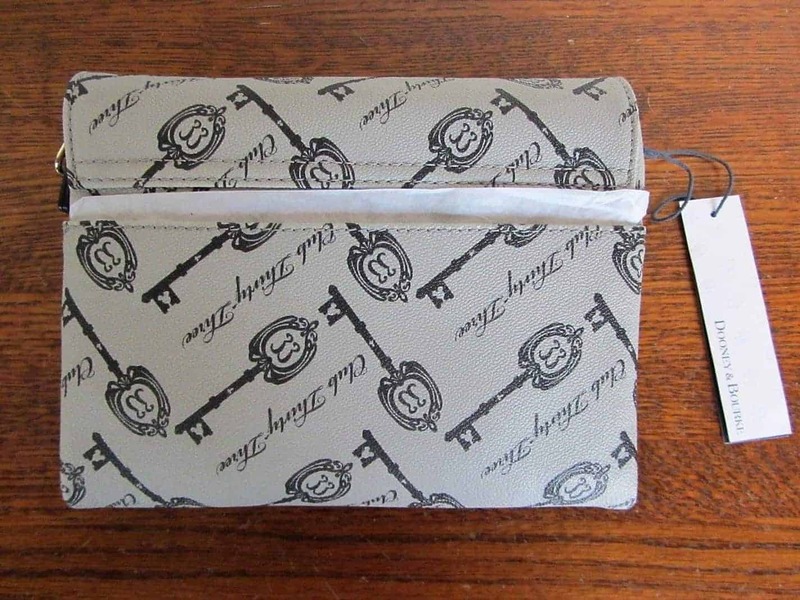 This sophisticated collection is only available for sale to Club 33 members at Club 33 inside Disneyland. 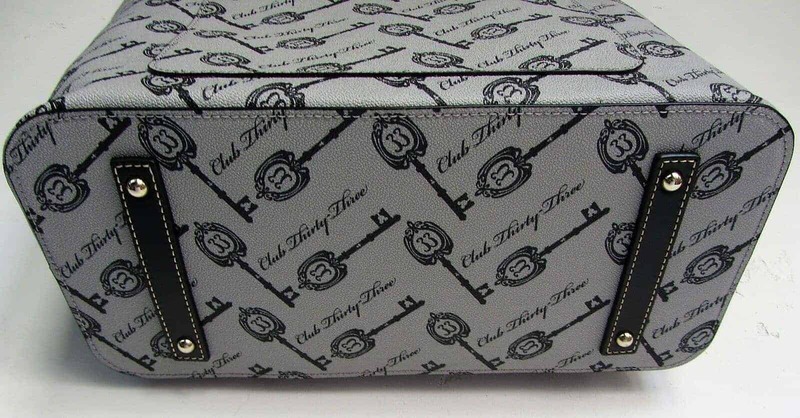 If you know a Club 33 member, time to call in a favor! Have you ever been to Club 33? 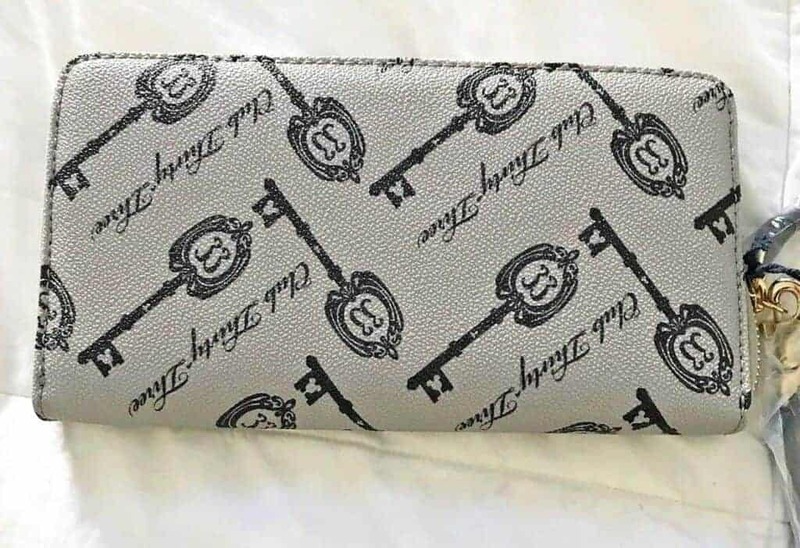 Let us know below!